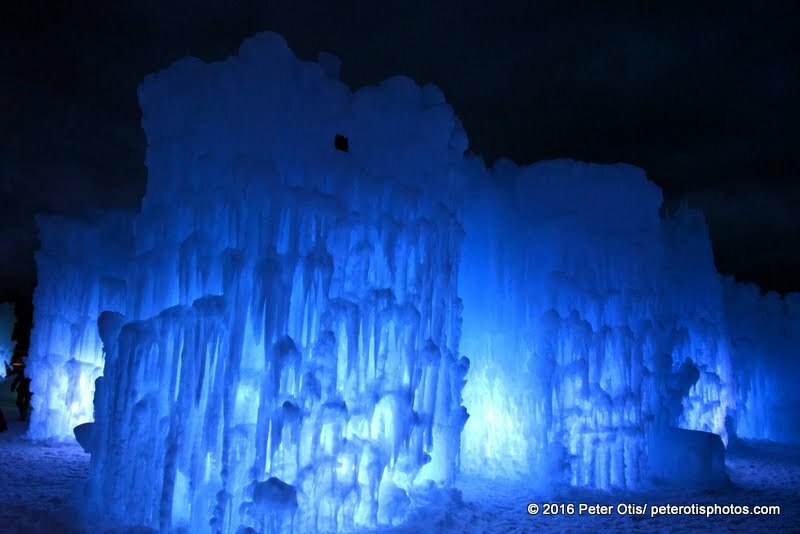 Ice Castle New Hampshire - Go See It!! 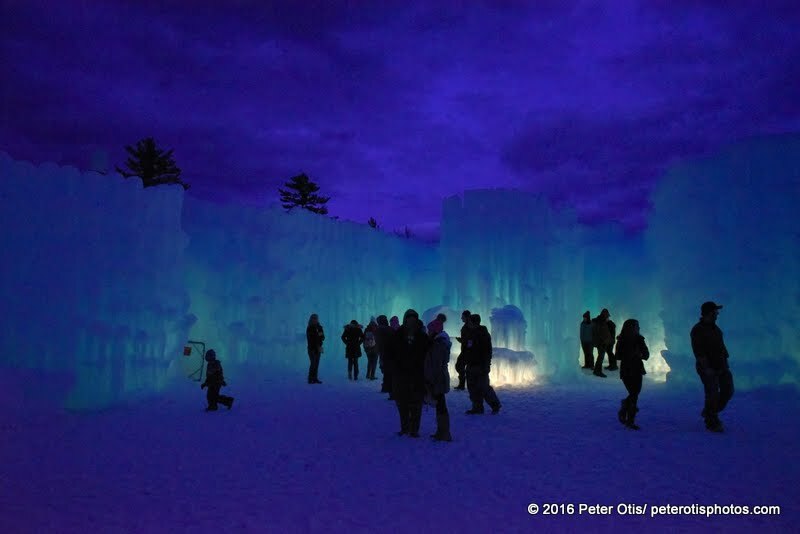 Ice Castle New Hampshire – Go See It!! 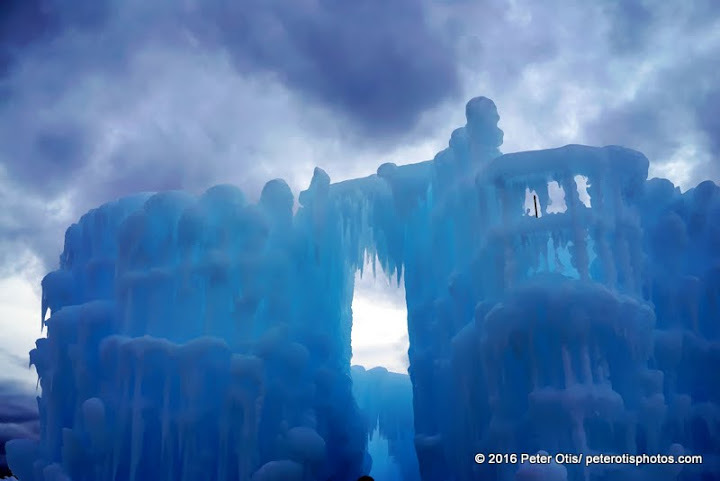 Last Thursday after heavy rains, we had a chance to walk through and photograph New Hampshire’s Ice Castle located at The Hobo Railroad in Lincoln, NH. 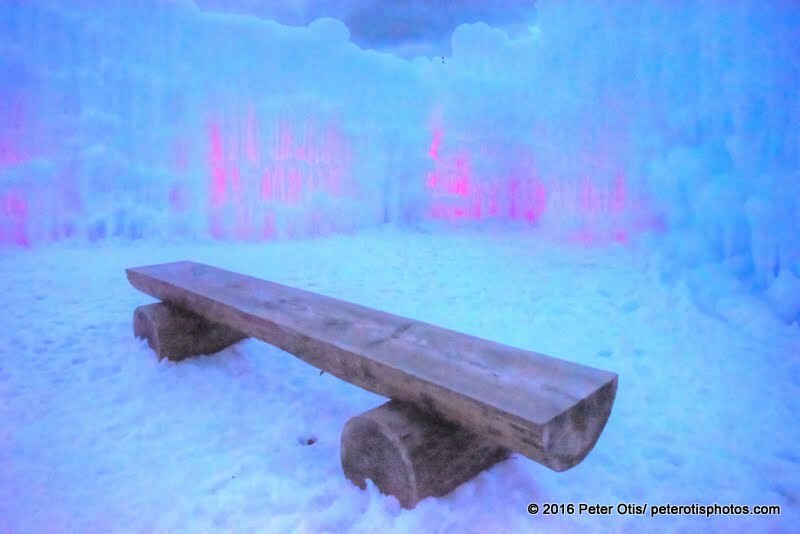 We had been aware of this wintertime addition to the NH landscape, now in its third season. 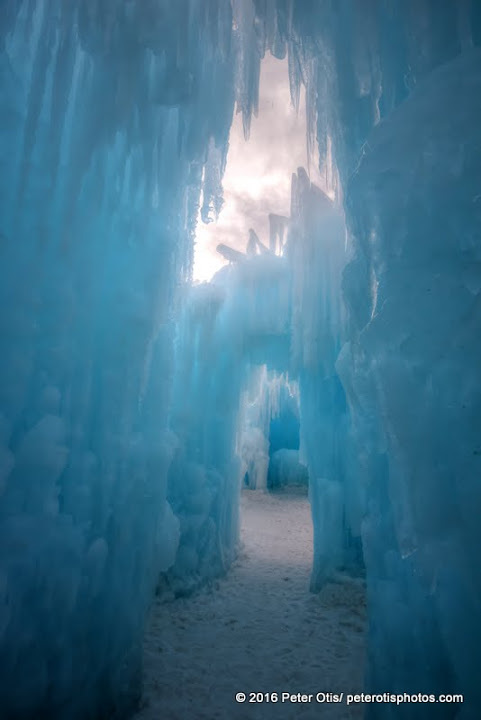 Other Ice Castles can be found in Utah, Minnesota and Canada. What a treat it was to experience one in Northern New England!! Unfortunately, rains and a (late or has it just been perpetual) January thaw had beaten down the one acre complex. But it was still a fun visual experience to see it before dark and then again when the light show began. 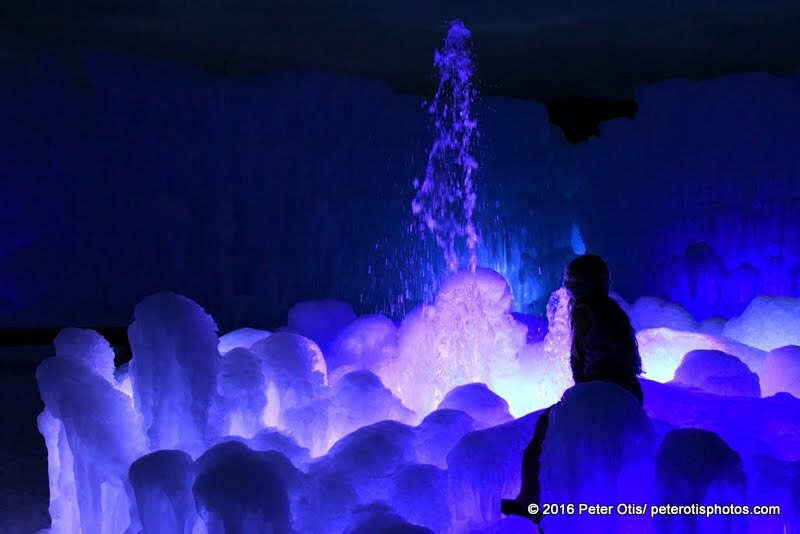 While standing in the various “rooms” we witnessed a wide spectrum of changing lights. 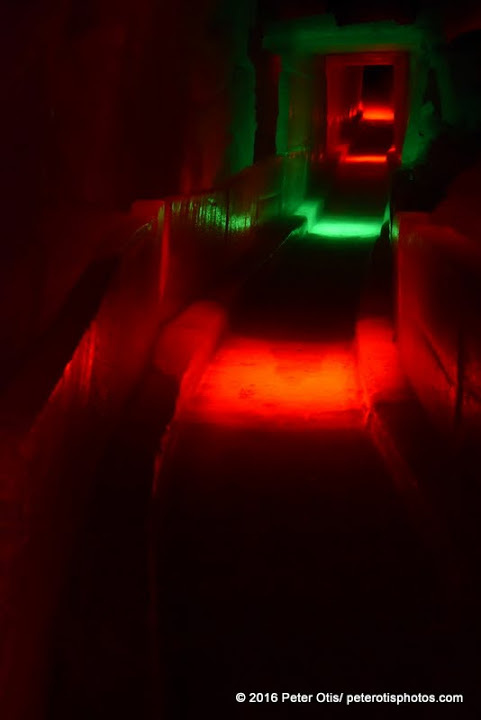 Although the cold weather prevented many kids of all ages from using the slides that have been constructed, folks nevertheless were seen crawling through tunnels (and coming out with dripping snow suits!). Lots of video and still cameras captured sights that this week with very cold weather probably look vastly different. Take a look at still images and videos on their web site to see what it looks like in other Wx conditions. 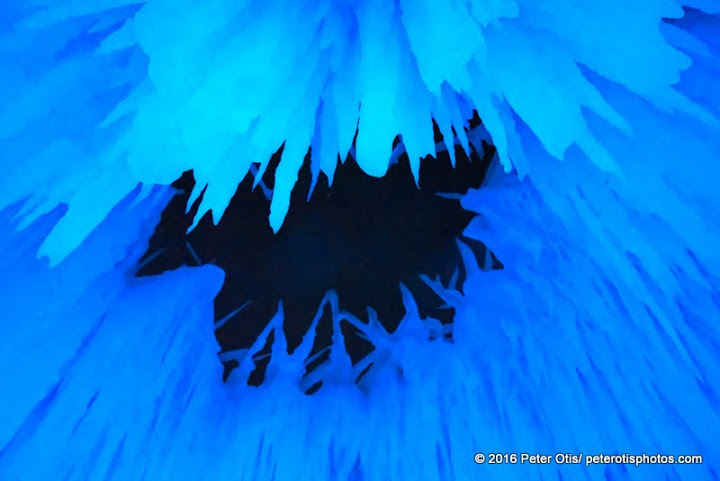 A crew of workers with hard hats, and ice climbing gear monitored the ceilings so that we weren’t hit with anything crashing down other than water drops. Normally, their team works hard in cold weather to make turrets and lots of effects that had been greatly softened and worn down by the rains and high temps. 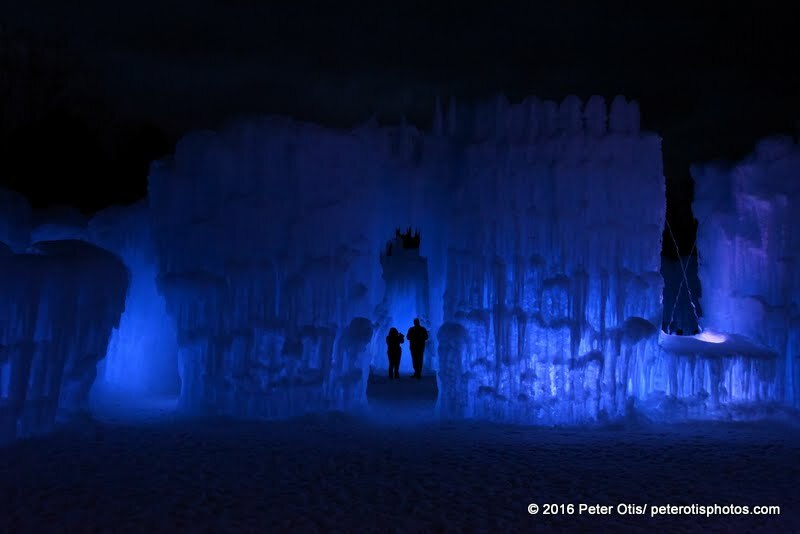 Ice Castle NH – how deep inside and outside can one see? 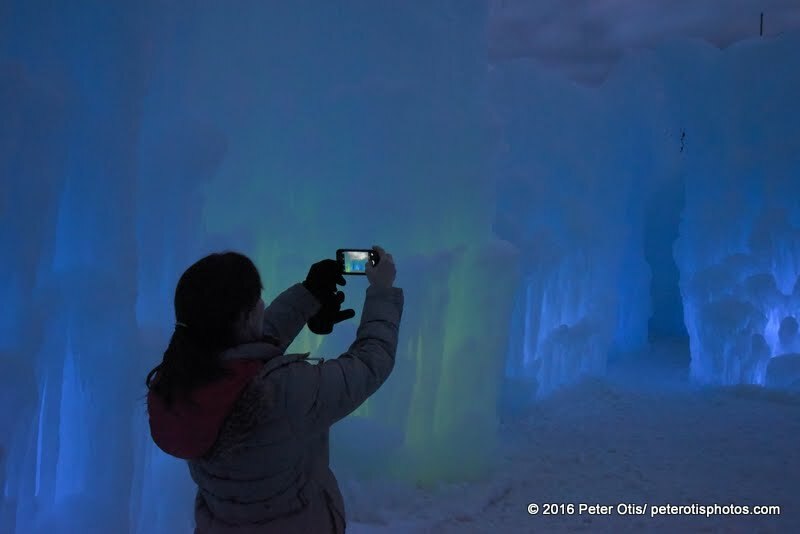 There is a beauty in Ice Castle NH that rivals other light shows I have been fortunate to capture with my camera — The Fountains of The Bellagio Hotel at night, sunrises and sunsets, slot canyons in AZ, Terratractus, fireworks, stained glass windows in churches and cathedrals and more. If you can, go and experience this one or one of the other ones, do so. And be ready to slide on the ice too!! And after completing this experience, head over to nearby North Woodstock to the Woodstock Inn Station & Brewery and warm up with the specials of the day or night!! PLACES… plants… people… plus other gems….